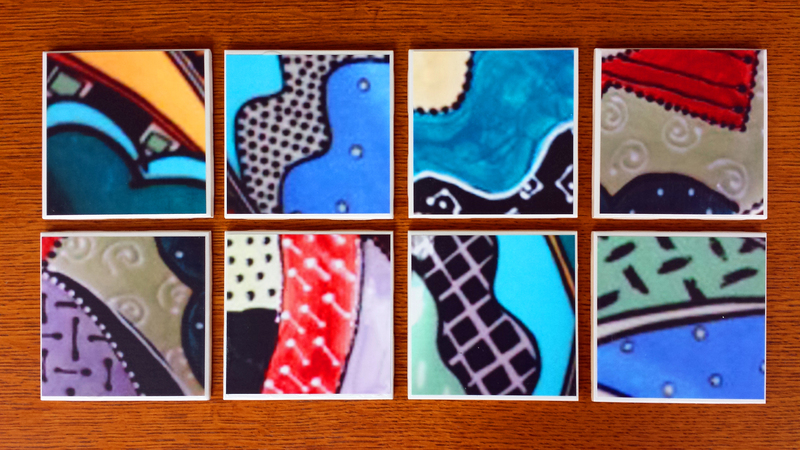 Handmade coasters that match your dinnerware? … Brilliant!! What a fantastic idea! Thank you, Ilaria, for the custom order and I hope your friend enjoys these new creative additions to her dinnerware set! As promised, here are the Fall-themed napkin rings I made with bead, berry and leaf flourishes. My Thanksgiving table is coming together!